Packing for a vacation or work trip can be a challenge. You have to predict every single item you’ll need for the duration of your travels, and then fit all of them into your suitcase in an organized way that protects all of your belongings. These tips can help you the next time you travel. Often times, clothes get messy when they’ve been shoved into a suitcase and left for a couple of days. There are many tricks to avoid wrinkles, static, and smells. Wrapping folded clothes in tissue paper helps to minimize those unwanted creases and fold lines. If you are packing button-down work shirts, roll up your belt and place it in the collar to keep the folds crisp. Placing a dryer sheet in with your clothing will help keep them smelling fresh, and it will reduce static cling. If you don’t have dryer sheets when you’re packing to come home, you can throw in the bar of soap from your hotel to help your suitcase smell nice and clean. If you’re struggling to fit everything into your suitcase, try to find ways to save space. You can roll your clothes instead of folding them, like flight attendants do. As an added bonus, this will also help reduce wrinkles. Also, stuffing socks and other small clothing items into your shoes will help create more room, and help your shoes keep their shape. Now that your clothes are all set, here are some tips for packing toiletries: If you’re worried about bottles leaking and ruining the other contents of your suitcase, place a small section of plastic wrap on the mouth of the bottle before securing the cap. You can use a binder clip as a cover for razor blades to avoid cutting your fingers while digging through your bag. Use small containers, like eye droppers or contact lens cases, to carry small amounts of liquid toiletries. Get creative to stay organized. Pill cases make for great jewelry organizers to reduce tangled necklace chains. Sunglass cases work well for storing charging cables and headphones in one place. Some people even use vacuum sealed bags to divide and condense their clothes. When placing all of your items into your suitcase, think about where you place them. If you are worried about rain, put waterproof items like a raincoat or plastic toiletry bags around the sides, top, and bottom to protect everything else in your bag. Put the heaviest items towards the bottom, near the wheels, to help secure your bag standing upright. If your airline is strict with weight limitations, wear the heaviest coat and shoes you plan to take with you. You can always change once you are past security. 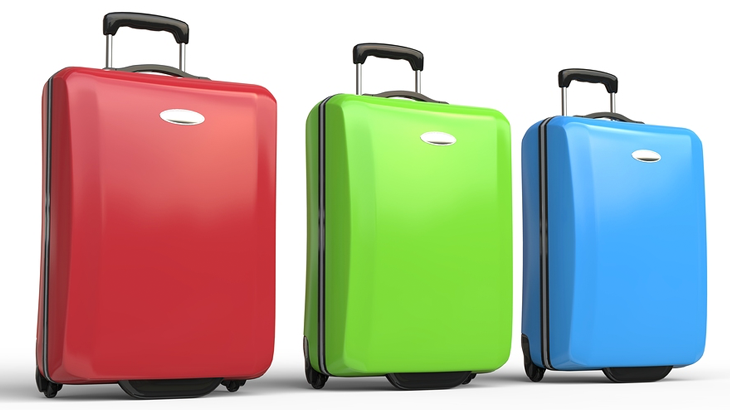 If you are unsure of what to pack, check out our packing list!